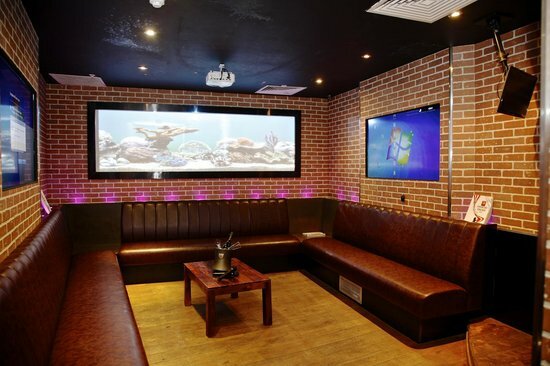 Working closely with KaraokeBox.com has allowed us to create something stunning in clubs and bars across England. We provide these bespoke spaces alongside our other services. Star Fitters Ltd is more than just a shop fitting and electrical specialist; we are also an expert in the installation of these boxes. What is a Karaoke Box? Popular in Japan, a karaoke box is a personal space for you and your friends to enjoy singing your heart out away from the crowds. These rooms are popular in establishments across the UK, and England is the perfect location for another. Everything you need is provided in the room, so all you need to bring is your voice. We are passionate about the work that we do. Our work involves the application of diverse skills and knowledge, used to finish commercial interiors to the highest standards. Call our experienced team today, in Romford, Essex, for more information on our shop fittings and the advantages of having a karaoke box.